The legislative season in some states is winding down, and planting season is almost upon us. In many smaller states where farmers are often legislators, the legislative calendars revolve around the seasons. In many larger states, however, being an elected official is now a full-time job. Ten farming states have introduced industrial hemp legislation in 2007: California, Hawaii, Idaho, Minnesota, New Hampshire, New Mexico, North Dakota, South Carolina, Vermont and Wisconsin. Please remember that all state hemp bills and resolutions introduced since 1995 are listed on our State Industrial Hemp Legislation page. North Dakota leads the pack with five bills introduced this year — two of which, SB 2099 and HB 1490, have already been signed by Gov. John Hoeven. Two others are resolutions urging Congress to recognize the multiple benefits of industrial hemp and to direct the DEA to differentiate between industrial hemp and marijuana. The fifth bill, HB 1020, has passed both the House and Senate with different amendments and is now in conference committee. 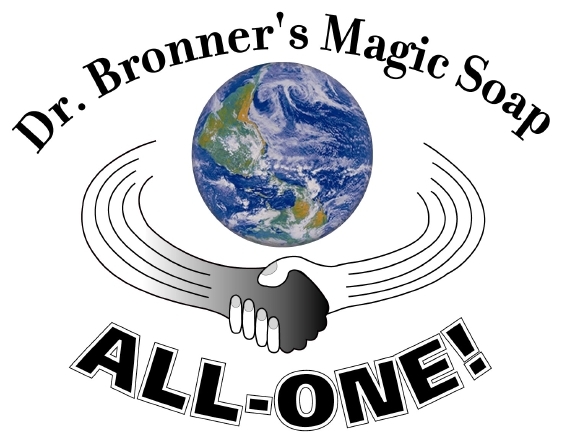 ESCONDIDO, CA - The Bronner family, makers of the popular organic Dr. Bronner's Magic Soaps, has learned that the confirmation drug-testing at the Orange County crime lab of soap taken from Don Bolles does not contain GHB (Gamma Hydroxy Butyrate). The crime lab's confirmation tests use the GC-MS method which is much more accurate than the field drug test kits used by the Newport Beach Police, which on April 4th produced a falsepositive for GHB for Dr. Bronner's peppermint soap. Based on this flawed faulty field test, Newport Beach police threw Don Bolles, drummer for the legendary punk band The Germs, in jail for three and half days over Easter weekend. Media reports that Dr. Bronner's soaps test positive for THC are also false. Bruce Margolin, attorney for Jimmy Michael Giorsetti who goes by the stage name Don Bolles, was told Friday by the Orange County DA that Mr. Bolles' soap tested negative for drugs. "Mr. Bolles charges of felony drug possession charges have been proven false," said David Bronner President of Dr. Bronner's Magic Soaps. "It's shocking that the DA's office is sitting on the lab results on the soap and hasn't dropped the charges already. Mr. Bolles has always been innocent in this case, but as long as these charges are pending he may not get a passport to travel out of the country to perform and is in major legal jeopardy," said Bronner who appeared in court last Friday to support Mr. Bolles. The next court appearance for Mr. Bolles is May 18, 2007. "Don and our soaps shouldn't have to wait a month to clear this up," says Bronner. "Our customers need to know now this whole soap opera is a mistake by police who tormented an innocent 50 year old man with jail. We purchased the same NarcoPouch® 928 GHB field test made by ODV, Inc. that was used by the police, and ran tests on our soaps. We confirmed that the test is useless when used on soap since every test came back positive. We also tested other common brands of soap including Johnson & Johnson's popular Neutrogena brand, as well as Colgate-Palmolive's popular Tom's of Maine brand, which gave the same false-positive tests as well. What kind of justice system allows police to use field drug tests that deprive citizens of their God-given liberty, that test positive for something as common as soap? What kind of policies and regulations are in place on police drug-testing practices and products, such that a US citizen can be tossed in the slammer over Easter weekend for possession of soap? Police departments nationwide should immediately stop using the ODV, Inc. field test for GHB as it is not accurate when used on soaps and who knows what other common household products." ODV, Inc is a subsidiary of Armor Holdings, Inc. Mr. Bolles was arrested following a search of his vintage 1968 Dodge A-108 van by the Newport Beach police. During the search they found an 8 oz bottle of peppermint Dr. Bronner's soap which is made with organic coconut, olive, hemp, peppermint and jojoba oils. The police ignored repeated pleas by Mr. Bolles that the liquid was nothing more than soap. "I've used only Dr. Bronner's soap for 35 years," says Mr. Bolles. "I use it for everything - bathing, washing my hair, washing my clothes - it goes everywhere I go. I'm scheduled to go to Europe to tour with The Germs this summer, but these felony charges could keep me from traveling out of the country." (Update) added April 17, 2007, 10:51 AM. Please see today's Los Angeles Times story Drug tests exonerate punk rocker. (Update) added April 20, 2007, 11:42 AM. Please see today's Drug War Chronicle Feature Punk Rocker's Jailing Raises Questions About Field Drug Tests. (Update) added April 20, 2007, 11:47 AM. Please see today's OC Weekly interview Don Bolles Keeps His Nose Clean. Calling all chocoholics. Put down the truffles and power up the PC. It's time to weigh in on a fundamental question: What is chocolate? Two of California's oldest confectioners, See's Candies Inc. and Guittard Chocolate Co., are battling an attempt to loosen government rules that dictate what ingredients go into the sweet stuff. Legally, the candy that melts hearts and comforts the brokenhearted is made with cocoa butter and, in the case of milk chocolate, whole milk. But the Grocery Manufacturers of America, a trade group, wants to let confectioners substitute cheaper ingredients — vegetable oils and milk protein concentrates. If you love good chocolate, or even just like good, cheap chocolate, it is very important that you comment on FDA Docket number 2007P-0085 before April 25th! Here are some simple instructions if you need help with commenting. Here is the article from the journal Biologist that I found a few days ago. It is pretty good. A lot of matter of fact information that one would not generally find elsewhere. Americans would get a bit antsy about the drugs part of it, but for scientists and the rest of the world it's really no big deal. One of the things that I suggest to writers, though editors try and change, is to not use drug slang or the word marijuana in stories about hemp, especially hemp food. A better way to say it if you need to is to refer to "high-THC varieties of Cannabis." Getting past the giggle factor is a good thing. 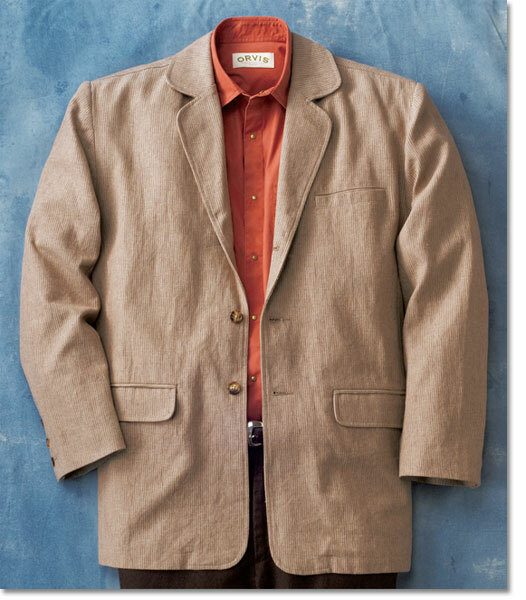 If you are in need of a nice hemp jacket they are on sale at Orvis for $79.00 marked down from the regular $148.00. If you want one please get it now before the size selection diminishes. 1965 Chevrolet Impala "Bio Rocket"
OK, I like cars. Fast cars are a lot of fun. I used to own a canary yellow 1974 Porsche 911 Targa. I survived it, too. Sometimes I'm not quite sure how, though. This is over the top, though: 800-HP "Bio Rocket" Makes Debut on Earth Day Episode of Pimp My Ride. Um, hemp in the trunk and B-100 in the tank sounds good, but an 800 horsepower PPE supercharged GM Duramax diesel? I guess that I like a little more finesse and handling in my cars. I read the The Good 5 Cent Cigar story Forensics expert explains marijuana testing myths and started working on a post, but the news of the Don Bolles arrest got in the way of my finishing my research, plus I had other work that I needed to do. 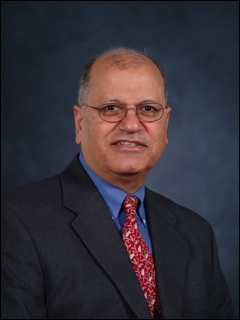 Anyway, Dr. Mahmoud A. ElSohly of The University of Mississippi's School of Pharmacy gave a talk the University of Rhode Island Forensic Science Seminar on Friday, April 6th. In the talk Dr. ElSohly referred to his latest research and explained why some defenses for positive marijuana tests don't hold up in court. ElSohly said another excuse that wouldn't hold up in court would be the "hemp seed" defense. Hemp seed and oil contain small amounts of THC, or tetrahydrocannabinol, which are responsible for the psychometer effects of marijuana. According to ElSohly's research, hemp seed and oil can be found in 120 different products on the market today. Because the amount of THC is significantly less, however, ElSohly said students that using hemp products as an excuse for a positive drug test would be disappointed in a police officer or an employer's reaction. Like passive inhalation, there would not be enough THC in a sample after ingesting hemp to meet the guidelines for "testing positive." If anyone would know this it would be Dr. ElSohly, who is also president and lab director of ElSohly Laboratories, Inc.
ONDCP Director Barry McCaffrey was quoted as saying of hemp foods in 2000 that "such applications for human consumption are confounding our Federal drug control testing program." Which is interesting since his office was not so sure about this in a 1996 press release (PDF file 24K). While some Swiss hemp oil produced in the early 1990's may have had relatively high levels of trace THC, the passage of rules there in 1996 ended the problem. Canada limits trace THC to 10 µg/g and the TestPledge limits are 5.0 parts per million (ppm) for hemp oil and 1.5 parts per million (ppm) for hemp nut (shelled hemp seed). By the way, ppm = parts per million = µg/g. The U.S. government's answer for trace opiates causing false positives after consuming poppy seeds was to raise the opiate cutoff from 300 ng/mL to 2,000 ng/mL on December 1, 1998. 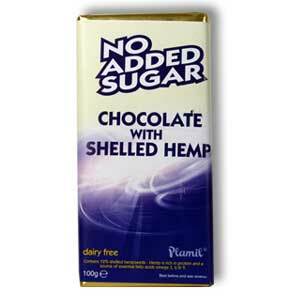 Their answer to the alleged same problem in hemp foods was to try and ban them. Fortunately the hemp industry did not let that happen and hemp foods remained legal to import, buy, and consume in the United States. According to Vote Hemp: "If the only source of THC in your body is from hemp foods that are produced from Canadian grown hemp seeds and eaten in reasonable quantities, it is virtually impossible to fail a drug test by eating hemp foods." So, buy your hemp foods from TestPledge Companies and you should be OK. Now, who's going to tell the Air Force to rescind their ban, which was based on politics not science? ESCONDIDO, CA - The Bronner family, makers of the popular organic Dr. Bronner's Magic Soaps are shocked and disturbed by musician Don Bolles' April 4th arrest for felony drug possession after police alleged an 8oz bottle of peppermint Dr. Bronner's Magic Soap tested positive for the illicit drug GHB (Gamma Hydroxy Butyrate). The notion that anyone would put GHB in a rinse-off liquid soap product is beyond belief, and the police field test used must have been flawed or tampered with. GHB, which produces euphoria and is an alleged aphrodisiac when ingested, of course has absolutely no effect in a soap product that is rinsed off the hands and body. Mr. Bolles, drummer of the legendary punk band The Germs, was arrested following a police traffic stop and spent three and half days in various jails in Orange County before being released early Easter morning. During a consented search of Mr. Bolles vintage 1968 A-108 van, Newport Beach police found a bottle of peppermint Dr. Bronner's soap which is made with organic coconut, olive, hemp, peppermint and jojoba oils. Felony drug possession could mean 20 years in prison if convicted. A pretrial hearing is scheduled for Friday, April 13, 2007 at the Harbor Justice Center, 4601 Jamboree Road Newport Beach, CA at 8:30am. "I've used only Dr. Bronner's soap for 35 years," says Mr. Bolles. "I use it for everything - bathing, washing my hair, washing my clothes - it goes everywhere I go. I'm scheduled to go to Europe to tour with The Germs this summer, but these felony charges could keep me from traveling out of the country. This whole thing could be really devastating to a 50 year old guy just trying to make a living. I told the officer 'its soap, it smells like peppermint soap,' but he seemed intent on arresting me." "It is totally outrageous that the police could be this malicious and idiotic," says Michael Bronner, Vice-President of Dr. Bronner's Magic Soaps. "This clearly is a case of profiling by the Newport Beach police of a person who doesn't look like the people who live in that town. We are paying the cost of Mr. Bolle's lawyer, and we demand the charges be dropped or proof from the police forensics lab of GHB contamination be immediately provided to us," said Bronner. Adds brother David Bronner, President: "We cannot imagine anyone putting GHB, or any other drug for that matter, into a rinse-off soap product that is lathered and rinsed off the body immediately. The Newport Beach police should see how much of a buzz putting beer in their shampoo gives them, and get a grip and apologize on their hands and knees to Mr. Bolles." At the time of the arrest Mr. Bowles was driving his girlfriend, and fellow musician Cat Scandal to an Alcoholics Anonymous meeting in Newport Beach. "I had heard of GHB but the police had to tell me what it was," said Bolles. "I'm going to fight these charges." (Update) added April 11, 2007, 4:25 AM. Please see today's Los Angeles Times story Punk rocker caught in soap opera. (Update) added April 11, 2007, 1:46 PM. Please also see today's USA Today story Rocker's soap tests positive for GHB. (Update) added April 13, 2007, 7:46 PM. Please see the Los Angeles CityBeat story Germ Busted for Soap. (Update) added April 14, 2007, 7:29 AM. Please see the San Diego Union Tribune story A soap opera. 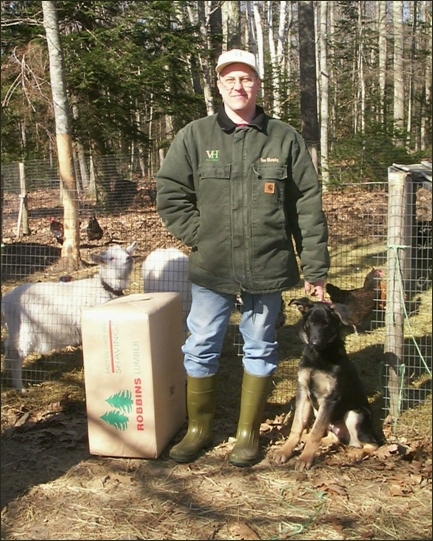 I wear my Carhartt chore coat with a Vote Hemp logo embroidered on it almost everywhere in the late fall, winter, and early spring here in Maine. It's a great converstion starter, as is my Vote Hemp Logo Hemp Hat. One of the most commonly asked questions about the jacket is if it's made out of hemp. 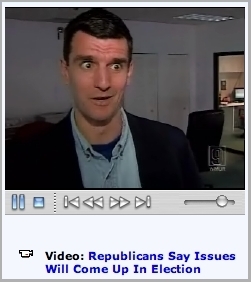 For a good time watch the video Fergus Cullen, chairman of the New Hampshire state Republican Party, try and say his quote in the WMUR story "Republicans Criticize Bills Passed By House" with a straight face. He can't do it. The industrial hemp farming bill has been an annual or biennial bill in New Hampshire since 1998. To say that this is a nanny-state provision is disingenuous. It's exactly the opposite. It's about government not prohibiting the farming of a crop. 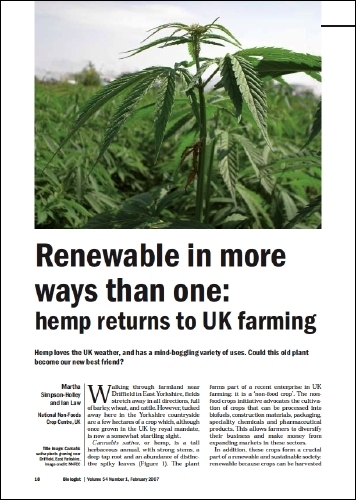 I have posted the latest issue of the Vote Hemp Weekly News Update. We received over 14 inches of snow, maybe 16 inches in other local places. It was wet, heavy stuff, too. The forecast only called for 8-10 inches. 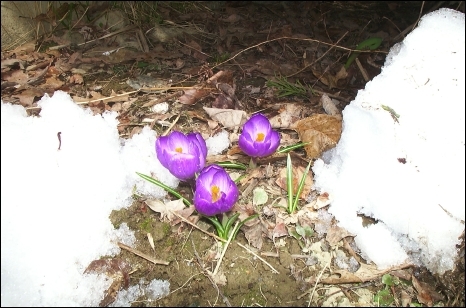 I'll post a picture of the crocuses and daffodils when the snow melts some.